Applications are currently ongoing for the Skoll MBA Scholarships at Said Business School for International Students UK. Interested students should see the details below. The Skoll Scholarship is a competitive scholarship for incoming MBA students who pursue entrepreneurial solutions for urgent social and environmental challenges. The Scholarship provides funding and exclusive opportunities to meet with world-renowned entrepreneurs, thought-leaders and investors. Once selected, these students are known as Skoll Skollars. 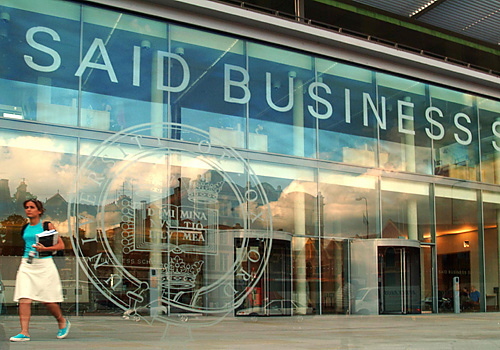 The Skoll Scholarship – Skoll Centre for Social Entrepreneurship is offering Funded Scholarship Program for MBA in Social Entrepreneurship, at Said Business School, Oxford University UK for the 2019/2020 session. Who is qualified to apply for Skoll MBA Scholarships at Said Business School? No more than five scholarships will be awarded in any year. How to Apply for the Skoll MBA Scholarships? Next Ladoke Akintola University 2nd Round Post-UTME Form Out 2018/2019.